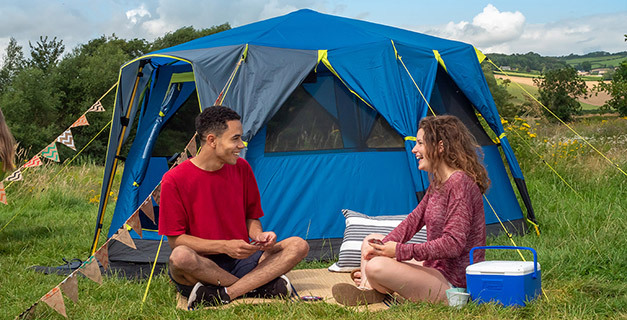 With ample living space and an innovative hinged door the Octagon 8 has a homely feel on the campsite. This spacious tent offering a full 360° view of your surroundings has a multitude of uses, it can be dressed as luxury glamping bedroom, a playroom for the kids or a perfect tent for festival gatherings. The flysheet can be removed and the Octagon 8 transforms into a bug-proof screen room perfect for the garden. The tent comes with a wheeled carry bag and packs away compactly for easy transportation and storage.